Complete your home with this stunning Rhombus Square Clock. This piece is made from mirrored glass and glass crystals which all over the frame. 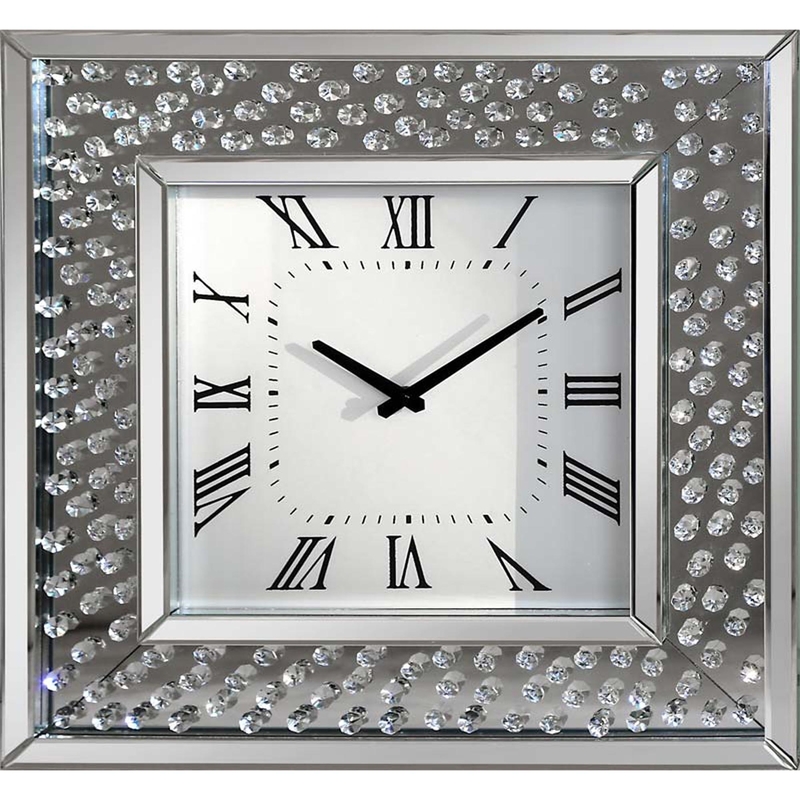 This clock will show off elegance and class in your home, making it glamorous and exiting but still simplistic. This clock reads in roman numerals which are in curved square shape going around the outside of the clock face, giving a soft feel.